There are countless ways artificial intelligence (AI) and machine learning (ML) have the potential to transform default servicing—but here are just a few. Sound’s great, right? But how can you make these benefits a reality, and what should you be thinking about in order to maximize the value of AI and ML to your business? servicing platforms are extending their Application Program Interface(API)/Integration capabilities to map out all the key data points across the life of the asset to create a property’s digital twin. This establishes API endpoints for each key process associated with the property that then become subsets of the entire property API, and create dashboards for oversight. AI and ML bring a new dynamic to property management, using the concept that systems can learn from data to identify patterns, help make decisions, and identify anomalies to enable management by exception—thus cutting cost and increasing efficiency. These solutions can not only drive down the cost of operations but also create new opportunities and provide insights that were not available to mortgage industry professionals before. Having access to the full scope of data points collected across the industry can drive implementation of ML models powering intelligent dashboards for the property servicing sector. Fed by these ML models, such dashboards can provide significant business intelligence relating to how a business is operating and where losses are happening. Even better, they allow companies to be proactive, so steps can be taken to avoid losses before they occur. Using integration platforms and their associated APIs to access data available outside the company can cut the time required to implement an AI solution, making it the obvious solution for any business seeking to reap game-changing advantages. How did AI and ML evolve to their current potential, and what are the ways in which ML solutions can be applied to business problems? ML solutions offer numerous specific advantages for the default servicing industry, but it’s critical that these default servicing solutions incorporate diverse collections of data sources. Using integration platforms and their associated APIs to leverage data from outside the organization is key to the swift and successful implementation of AI solutions. The concept of AI was introduced in the 1950s with the development of such important ideas as neural networks, but a failure to meet its initial promise meant funding for AI dried up in the 1970s. 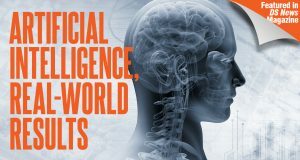 AI underwent a series of booms and winters in the intervening years, but unrealistic expectations and the rise of desktop computers meant it did not make a genuine comeback until the early 1990s when the obstacle of insufficient computing power was overcome and AI began to enter various disciplines. The emergence of big data in the first decade of the 21st century opened the floodgates for AI development. Today, AI— especially the subset called machine learning—is being adopted rapidly across many industries. The rate of adoption is accelerating alongside the complexity of business problems being tackled by AI. ML is particularly relevant for businesses, and, indeed, most headline-catching AI solutions are based on ML. It is based on the concept that a computer system can train itself to perform certain tasks faster and better than engineers could program it. The ability to access and process large data sets—better known as big data—made it possible to implement the concept. Once big data became widely available for businesses, either directly or through their technology partners, many ML-based systems were created and deployed. To implement an ML solution for a business problem, the training data and data model must first be identified. The learning algorithm processes the training data and produces an ML model, which is used to make predictions based on new data. Simple problems such as clustering or anomaly detection do not require sophisticated algorithms. In those cases, so-called unsupervised machine learning can be used. This method facilitates simplified data pre-processing that requires no human input and generates satisfactory results based on small datasets. The results generated by unsupervised ML usually do require further human interpretation, however. This is because certain patterns or relations between data points may become evident, but a human brain is needed to determine what these patterns mean. For example, unsupervised ML can be used to group properties into neighborhoods or to segment borrowers into groups with similar demographics, but the technique has limited capabilities to solve more complex business problems. Supervised ML can be used to train ML models to provide insights into more sophisticated business applications, such as advanced classification or categorization. A borrower’s propensity for default or the probability that a loan will default is good examples of classification problems relevant to the default servicing industry. To train ML models to provide such insights, data is pre-processed and labeled by humans before the training process can begin. Borrowers who have defaulted, for example, would be clearly labeled for a learning algorithm. With this defined combination of inputs and outputs, an algorithm can train an ML model to recognize loans that are more likely to default or become delinquent. problems are worth the additional effort. The levels of human input and sufficient quality data required are partially responsible for the slow adoption of ML systems throughout the default property servicing industry. This presents a huge opportunity for the first players who successfully implement ML-based solutions that disrupt the industry. This is already evident in other industries, where the first businesses to exploit AI are pulling ahead of their competitors. For example, Yelp uses ML for the picture classification technology it includes in reviews and Pinterest uses it for everything from content discovery to spam moderation. The advantages enjoyed by the companies who are leveraging ML is only accelerating because ML-based AI systems will self-improve as more data becomes available. 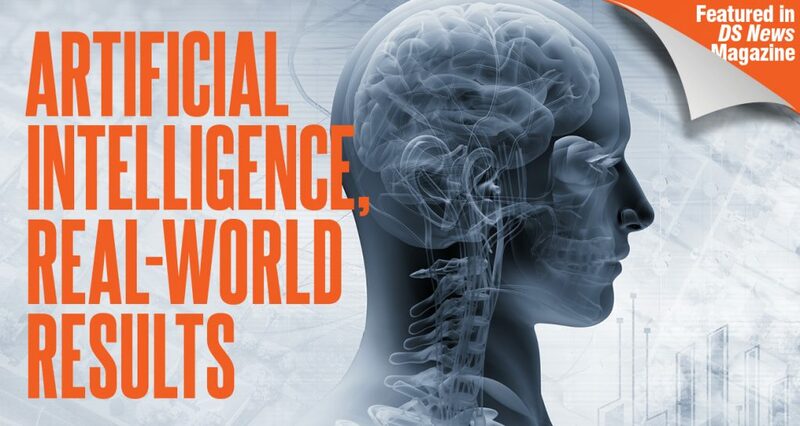 As AI becomes more powerful, it can start modifying itself to make itself smarter. As it improves its capabilities, it gets better at making itself smarter, so its intelligence soon grows exponentially. Hence, those early adopters will become more difficult to catch than the early adopters of earlier technologies. As we have discussed, the availability of data and the data model are the keys to success when it comes to implementing ML solutions. Most businesses gather vast amounts of data, but processing and analysis to build ML models are not among their areas of competency. It may also be difficult to identify the data that is relevant to their business. In some cases, particularly within the default servicing industry, the most important data points might not even be collected. Data associated with activities and processes related to an asset lifecycle is dispersed through many specialized service providers. A loan on a property might be under the loss mitigation process, for example, but a servicer who carries out inspections on that property might not even have that information available in their system. As a result, they may carry out unnecessary or incorrect inspections. Thankfully, the gradual integration of the industry’s computer systems opens access to data points previously locked in specific verticals. Now that advancements in computer science have enabled AI—particularly ML—to enter the realm of real business applications, companies who want to remain competitive in today’s landscape must adopt and implement these technologies. As previously discussed the most expedient way to do this is to leverage the expertise that already exists in property servicing platforms/integration platforms that are focused on maximizing AI/ML value by reducing costs and preventing losses.